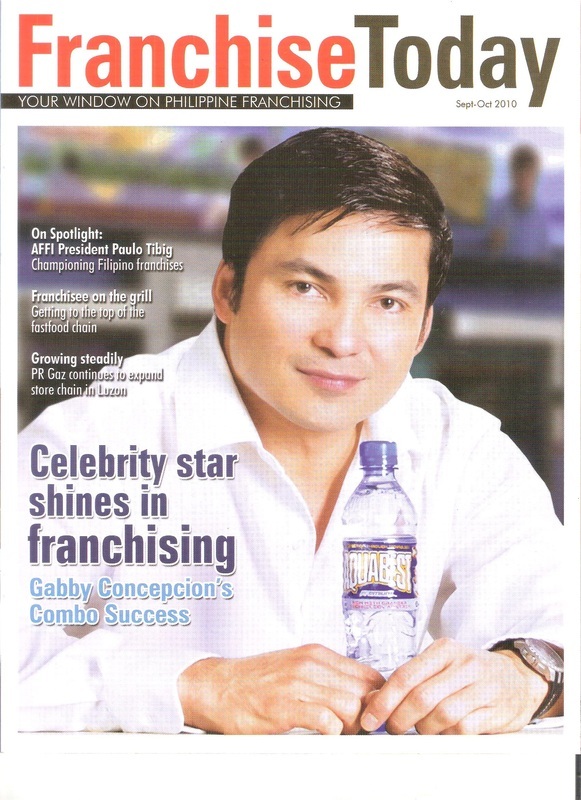 Franchising is a popular business concept for business oriented individuals. It is the quickest way of setting up a business without starting from scratch and having to worry about financial studies, opearting procedures and business licenses. Franchise businesses vary from food,retail sales and service oriented concepts. The Franchisor pretty much provides you with everything you would need in setting up the business and would only require your investment and time commitment to personally look after its operation. Some franchisors even have existing locations available and ready for operation. But what are the factors needed to ensure the success of a business? Identify Target Market - Which sector of the society is your target client for your franchise? It is well suited for the class A or B market? Young or mature clients? Employees or students? Identify Pedestrian Traffic Count - For retail concepts like food or retail sales, high volume traffic is mostly required. If your business is a service oriented concept such as salon, shoe repair, computer repair etc..., chosse a high traffic, maximum visibility and easily accesible location. Identify Rental Budget - renting based on your budget and means is always important. Prior to operating a business, you should have prepared a financial study on your operating expenses against projected sales income. Office, School and Government buildings - suited in targeting a specific and regular traffic count of clients in a specific period. These types of establsihments operate weekdays only and on certain limited hours like 8:00 am to 6:00 pm, etc. Secondary Locations - these are locations not situtated in popular malls or shopping centers but equally viable in terms of high pedestrian traffic and visibility along main roads like commercial buildings and transport terminals like bus, jeepney, MRT, LRT, etc. If you plan to put up a business, whether food, retail or service oriented, franchised or your own personal concept, it is always recommended that you operate in a visible and high pedestrian traffic location like a shopping mall or a commercial building. However, the boom of the retail industry and franchise concepts in the country is causing major constraints in the allocation of retail spaces. With so many businesses fiercely vying for prime locations especially in Metro Manila and other major cities in the country, leasing a space has become more challenging than conceptualizing the business itself, especially for small entrepreneurs. Malls and commercial property owners are now very critical of applicants and prospective lessees for their rentable spaces. Many of them prefer to lease their space to the more popular and branded retail companies as they are most likely to lease longer, offer better terms and help boost their property appeal to consumers. So how would a small and a starting entrepreneur fair with the competetion of searching for good commercial spaces? And what do lessors look for when screening lease applicants? Before we get into the strategies on applying for a lease space, it is best to understand what kind of tenants commercial property owners want for their spaces. Most space lessors, as a marketing strategy, favour those who are branded and popular. Branded and popular shops will attract more customers, thus gaining them more lease applicants which will in turn intensify their rent occupancy and rental rates. So if you plan to operate a known franchise business, this would be an advantage. But there are also some commercial property owners who want to be different, having diverse mix of tenants, established or new, and appreciates unique or specialty stores. If your concept is original and has a great potential for success, it may stand a chance of getting situated in prime locations. We have seen a lot of retail outlets that became successful when they opened in popular shopping malls and got the needed exposure. 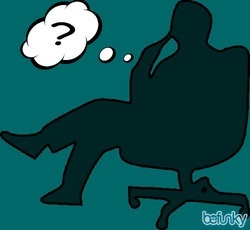 - First, find out to whom or to which department in the company should the LOI be addressed to. Some commercial and shopping malls require a formal letter of intent, faxed, delivered or mailed, before they divulge their rental rates and other lease terms and conditions. 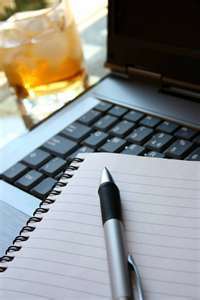 - Indicate the name of the store and if it is a franchise or a new concept. Also indicate if it would be a new or first branch or an addition to existing locations. If it is a new concept, it would be best to further expound on your description to provide the lessor with a better perspective of your concept. - Provide details of your service. if it is a food or a retail concept, include menus or items to be sold in the store. Indicating the prices or rates would also help in the evaluation. - Providing the lessors with pictures or drawings would greatly help in your application. If it is a stall, kiosk or cart, provide the size and dimensions. You may indicate that you would be willing to adjust depending on their requirements or constraints. If it is a store size, provide pictures (if existing) drawings/sketches (if new) of the sigange, store front and the layout and design inside the establishment. You may also want to take a picture of the actual space and digitally superimpose your store's image on it to give the lessor a view of how the store or tall would look like in their location. After preparing these, send it to the concerned personnel, department or company and actively follow up on its status. It is advisable to request for an appointment with them so you could personally entertain questions or queries that they may have. The Philippines is now home to the most modern, state-of-the-art designed and internationally recognized shopping malls and shopping centers. It was a long way from the “palengke”, “talipapa” (marketplace) and street vendors of Avenida, Divisoria and Sta. 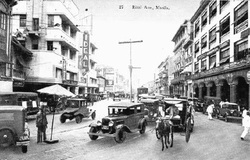 Cruz, where Filipinos used to go to for their shopping needs during the days. At present, it is not enough to have a mall with a complete line up of retail outlets, ample parking, sufficient food outlets and entertainment centers. 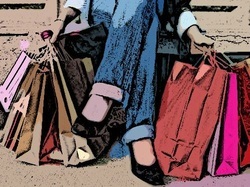 Pinoy customers and shoppers go to malls to get a total experience of relaxation, fun, entertainment and satisfaction. Architectural has greatly improved and the new malls boast of unique designs and building features. Gone were the days of simply filling up a mall with tenants. Shopping malls has become an escape from the real world and just by being inside it detaches one from present concerns and dilemmas. It has truly become a favorite attraction and landmark for most Filipinos. 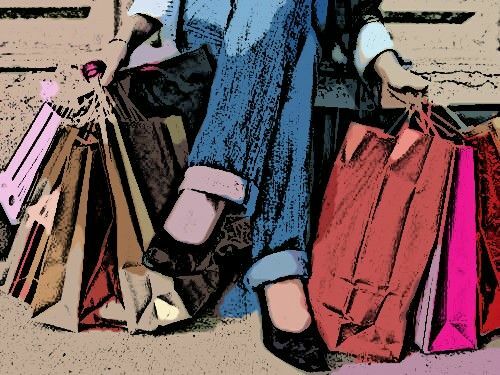 When did the shopping mall industry and trend start in the Philippines? Before the birth of these huge shopping malls and shopping centers, Fiipinos go to their local “palengke” (marketplace) for their everyday needs. For those living in Metro Manila, the shopping haven before was the Avenida and Sta. Cruz strip. For the bargain hunters and wholesale buyers, Divisoria was the place to be. In fact until now, Divisoria is still very much the location for affordable buys. In 1976, Ali Mall, the first to be considered as a major shopping mall was built with a floor area of 62,000 sqm. Located in Cubao, Quezon City, Ali Mall was named after the legendary Muhammad Ali and was built beside the Araneta Coliseum, where the champion successfully won over Joe Frazier in the historic “Thrilla In Manila” boxing event in 1975. Throughout the years, Ali Mall underwent several renovations and expansions and is now a revitalized mall with modern cinemas, lush landscaping, wider atrium and hallways, more stores and a bridgeway connecting its 2nd floor to SM Department Store Cubao. More establishments opened in this Araneta family owned and operated property and is now called the Araneta Center. Next to open also within that year was Harrison Plaza. Located at Malate Manila, this mall sits within Manila’s tourist belt and near to hotels (Sheraton, Hyatt, Century Park etc...) and city landmarks like Luneta, Intramuros, the Manila Hotel and more. Closed for renovation between 1982 and 1984, it reopened with the country's leading department stores, SM and Rustan's, as anchor tenants. Though not an enclosed indoor shopping mall, Greenhills Shopping Center was also fast becoming a favorite shopping place in the early 80’s. This shopping center started as a subdivision or village commercial center which caters to nearby Greenhills subdivisions, an upscale residential community which includes schools and churches. At present, Greenhills has over 2,000 stores that are interconnected through bridges and pathways, an outdoor park, a Catholic church, a Muslim prayer room and their very popular “tiangges” (flea market). Their newest feature is the COD Christmas puppet show which is shown for free during the Christmas holidays. Greenhills Shopping Center underwent renovations recently including V Mall (formerly known as Virra Mall) in partnership with the SM Group. Also at Araneta Center, Farmers Plaza is drawing attention because of its very prime and high traffic location along EDSA. It sits in front of the bus stop and nearby bus terminals plying routes to the provinces of North and South of Metro Manila. The mall renovated and expanded in 1999 and offers 60,400 sqm of retail space which consists of a complete mix of local and international stores, a food court and entertainment facilities. It now features footbridges connecting the building to the Araneta Coliseum and the newly built Gateway Mall and also a direct link to the Metro Rail Transit (MRT) 3 station of EDSA Cubao. The newest addition to the Araneta family owned and operated mall is The Gateway Mall. It opened its doors in 2004 and received a merit award for its design from the International Council of Shopping Centers (ICSC). A five level shopping mall featuring high end and quality retail stores, state of the art cinemas and a floating garden design. In November 1985, Shoemart, the leading Department Store in the country joined the Property Management and Shopping Mall industry by opening SM City North Edsa. It was the beginning of the SM Mall dynasty that would soon expand all over Metro Manila and now, all over the country and China. SM City then offered their flagship stores namely, SM Department Store, SM Supermarket, SM Food Court, SM Bowling Center, SM Cinemas and a variety of retail outlets. In 2006, their redevelopment program began with the opening of the Block, Annex and the Skygarden. SM City North EDSA is the company’s leading mall in terms of customer traffic, occupancy and income. 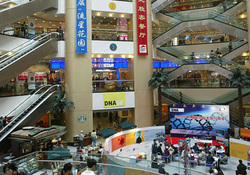 It is the most popular and successful mall in country today. The next branches to open were SM Sta. Mesa (1990), Mega Mall (1991), SM City Cebu (1993), SM Southmall (1995), SM City Bacoor (1997), SM Ciy Fairview (1997), SM Iloilo (1999), SM City of Manila (2000), SM Pampanga (2000) and more. Todate, SM Prime Holdings Inc. has 42 branches nationwide. Their box type design building has changed and evolved through the years. They are the leading trendsetter when it comes to design and retail innovation. They also continuously progresses in the area of shopping mall operation management and the leader in retail rental administration. Robinsons Land Co. is the second largest shopping mall and retail operator in the Philippines. The first to be built, out of their current 27 malls location nationwide, is Robinsons Galleria. Located along EDSA and Ortigas Avenue, it is a 5-level shopping mall with more than 400 shops, dining outlets, entertainment facilities and service centers. Galleria may be the first shopping mall that prioritized architectural and interior designs more than occupancy because of its wide hallways, high ceilings, a grand atrium with water fountain and creative storefront and signage designs. For the past decades, Robinsons Galleria has never stopped its expansion and renovations which makes it a favorite place for corporate events and marketing activities. The next malls to follow are Robinsons Place Manila (1997), Robinsons Place Bacolod (1997), Robinsons Place Imus (1998), Robinsons Town Mall Los Baños (2000), Robinsons Place Cebu (2000), Robinsons Nova Market (2001), Robinsons Place Metro East (2001), Robinsons Place Iloilo (2001), Robinsons Star Mills Pampanga (2001) and more. The next major player in the field of shopping mall management is the Ayala Corporation. In 1991, they opened Glorietta right in the heart of the business district of Makati. It offers a complete line of shopping and dining stores and establishments and caters to tourists, expats, nearby hotels and offices. It has a fully air-conditioned atrium with water features, an indoor playground for children, and an activity center that hosts the best concerts and shows for its shoppers. They recently renovated to be part of the Ayala Center redevelopment and is now integrated with other commercial establishments namely, SM Makati, Landmark Department Store, Greenbelt and Quad (also both owned by the Ayala group). Ayala Land opened more malls thereafter namely, Greenbelt Ayala Center, Alabang Town Center, Market Market, Bonifacio High Street, Serendra, Ayala Center Cebu, Trinoma and Marquee Mall. More shopping malls opened and more companies joined the field of property management. Metro Manila is now filled with small to large scale commercial buildings and properties. From Shangrila (Kuok Properties), Star Malls (Villar Group of Companies), Waltermart (Abenson Group), Gasiano Malls (Gasiano Group), Eastwood City (Megaworld Group) and more. The shopping mall and retail industry is now a major contributor to the country’s national economy and accounts to a large portion of Gross National Product (GNP). It employs millions of Filipinos and has turned the country into one of the premiere shopping destinations in Asia.